Despite its tiny size, Japan consistently ranks among the world’s most popular tourist destinations. Eager to find out why? Well, here are 10 of the most important things to understand before you visit the Land of the Rising Sun. While it’s always good practice to learn a few basic phrases before visiting foreign-speaking countries, this is particularly important when travelling to Japan. Not only will this help you to avoid causing offence (a persistent danger in a country so famed for its good manners), but it’s also just necessary to get things done. Although most larger cities have signs written in both Japanese and English, there are still many scenarios in which non-Japanese speakers will find themselves completely left in the dark. After mastering basics such as arigatou gozaimasu (thank you), daijobu (it’s okay) and sumimasen (excuse me/sorry), use a phrasebook or smartphone app to help with the rest. Google Translate’s camera translation function (which allows users to hover their phone over written text and see an instant translation) is a particularly handy tool for quick and dirty translations. Despite its reputation as a technological wonderland, Japan is still a largely cash-based society. Many shops and restaurants simply don’t accept credit cards, so it’s essential to have some cash on hand wherever you go. Since banks can be difficult to find and tedious to use, it’s best to exchange your currencies at home or when you first arrive at the airport. That said, you can also find the occasional ATM to supplement this amount throughout your stay. Like many Asian countries, Japan draws a firm line between shoes that are worn outside and those that are worn indoors. Basically, always remember to remove your shoes when entering someone’s home. Walking around in your socks is usually fine but, as a guest in a Japanese hotel or household, you’ll usually be provided with a pair of slippers to wear. Some restaurants also prohibit footwear, so be sure to keep your eyes peeled for relevant signs (or abandoned shoes) when entering new buildings or rooms. You’ll also find special slippers provided in many bathrooms; simply slip them on when you enter and—whatever you do—remember to leave them behind once you’re finished! With heated seats, air dryers, musical tones, custom bidets and more, Japanese toilets are the stuff of legends. Unfortunately for overseas tourists, many buttons and panels on these high-tech devices are labelled only in Japanese. The two essential symbols you’ll need to recognise are 大 (“big”, for a full flush) and 小 (“small”, for a half flush). Aside from these necessities, some other handy words to know are おしり (a rear wash), ビデ (a wash for women), and 止, which should hopefully put an end to whatever cacophony you’ve unleashed during this time. Be aware that not all public bathrooms will have toilet paper, so bring some tissues yourself if this concerns you. Japan’s rail network can be confusing at the best of times, but there’s no doubt that it’s one of the most efficient ways to travel the country. 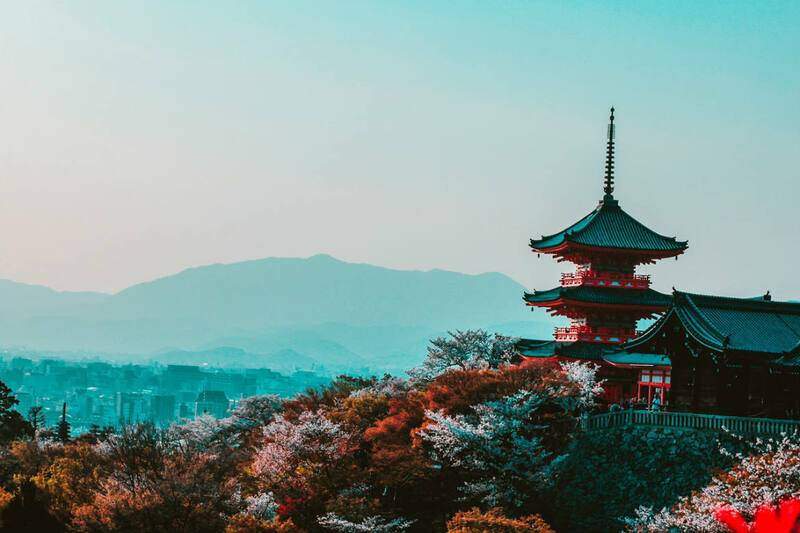 Regardless of whether you’re exploring one city or the entire country, chances are that buying a Japan Rail (JR) Pass will save you both time and money. Valid for either 7, 14 or 21 days, JR Passes offer unlimited travel on an extensive transport network that includes JR trains, JR local buses and most Shinkansen (bullet) trains, as well as the JR Miyajima ferry and the Tokyo Monorail. You can even buy your JR Pass in Australia and get moving as soon as you land! Onsens are communal baths found all over Japan, traditionally next to hot springs. While these baths are a revelation for many first-time visitors to Japan, there are many rules to observe while using them. Perhaps the most important of these is the bathing process. Both indoor and outdoor onsens feature bathing stations equipped with stools, taps and shower heads, and toiletries such as soap and shampoo. Take a seat and wash yourself thoroughly before entering the water. Swimwear is prohibited, so you might need to gather your confidence (or your modesty) before heading in. Also be aware that, thanks to their association with the notorious Yakuza crime syndicate, tattoos are forbidden in about 50% of Japan’s onsens. That said, some of these establishments will permit tattooed guests to enter, provided they cover any ink. Although it might seem polite (or even expected) in other parts of the world, tipping is just not a part of Japanese culture. Tourists who pay more than what they owe will either be met with confusion or a polite returning of the correct change. However, you shouldn’t feel rude for paying the exact amount listed on your bill; Japanese workers are more motivated by customer satisfaction than by loose change, and someone who insists on tipping could even be perceived as demanding better service. While you shouldn’t tip, you’re welcome to thank someone for their help or service by offering them a token of appreciation. Even small trinkets such as sweets, ornaments, or souvenirs from your home country will all be graciously received in Japan. Just be sure to bow and present your gift with two hands, and, in case the gesture is returned, to accept any gifts in the same manner. The dinner table is one of the most hazardous places for anyone prone to faux pas. Unsurprisingly, food-obsessed Japan has many customs around its meals, but many of these can seem counterintuitive to outsiders. For one, it’s common to raise a small bowl of rice (or soup) to the lips, and then delicately shovel (or drink) the contents from here, rather than ferrying them from the table. Secondly, slurping noodles is highly encouraged! Visit any ramen restaurant and you’ll find patrons hunched over their bowls, slurping up their noodles with gusto. Far from being rude, this is a compliment to the chef and sign that the meal is being thoroughly enjoyed. Lastly, remember to start and finish any home-cooked meal by declaring “itadakimasu!” and “gochisousama!”, respectively. From 7–9am and 5–7pm, millions of Japanese citizens commute to work in some of the most populated cities on Earth. If you can avoid it, do not catch a train during these periods. With their non-stop foot traffic and “passenger arrangement staff” filling carriages to 200% of their intended capacity, the peak-hour trains of Tokyo, Osaka and others are not for the faint of heart. If you do find yourself in a peak-hour carriage, please refrain from eating, drinking, playing music or talking loudly. In just a few minutes, you’ll notice that many of your fellow passengers have already dozed off. Like any holiday destination, it pays to do your research to determine the best time for you to visit. With their mild temperatures and beautiful foliage, late spring and late autumn are extremely popular times to visit Japan. Winter sees less visitors and generally lower rates, but also marks peak season for Japan’s snow resorts, which quickly fill up with eager skiers and snowboarders. Meanwhile, summers in Japan are surprisingly warm, humid, and punctuated by plenty of rainfall. Ready to experience the beautiful, yet incredibly quirky, Japan? Find fantastic, value-for-money Japan tours with Webjet Exclusives!